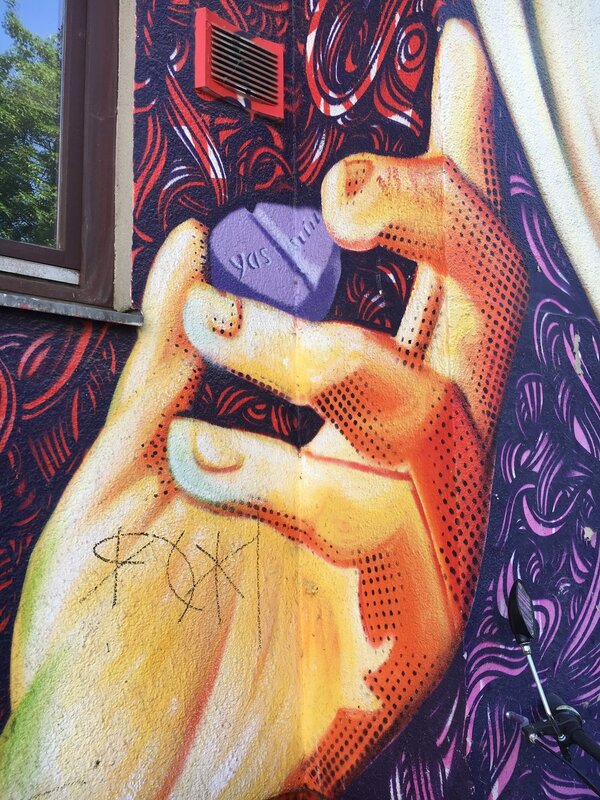 The saying goes that Berlin is one of the Graffiti capitals of the world. Not only is there a huge underground scene, but is praised and encouraged (by many... but obviously not all) as an art form. 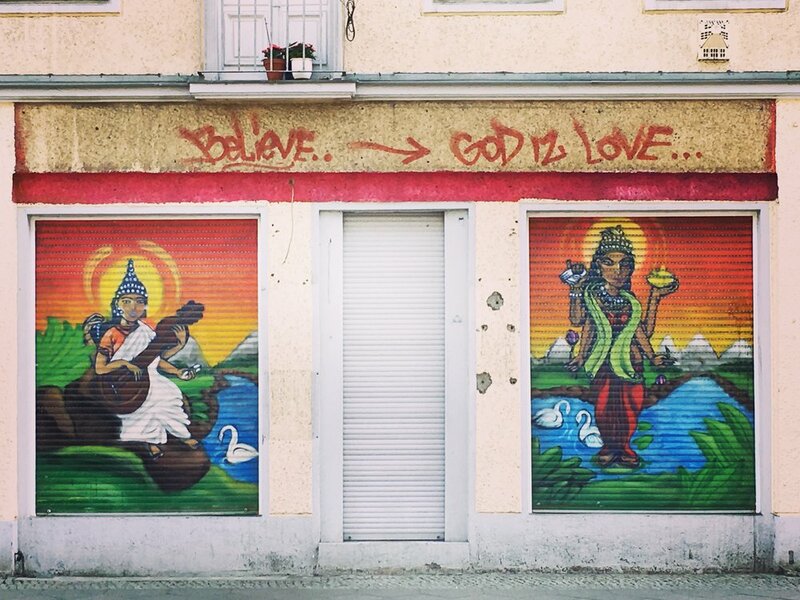 Almost every street in Berlin has at least a tag, urban art, or a commissioned mural. It can often be hard for me to get from Point A to Point B without stopping multiple times just to snag a shot of some cool graffiti. 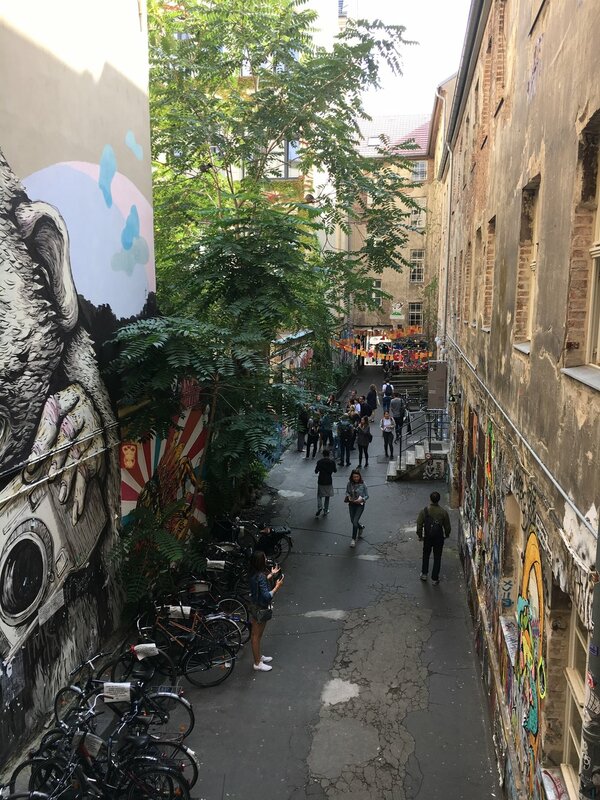 A great one-stop-shop for seeing some stellar urban art is at the Hackesche Höfe in the Rosenthaler Straße. The second alley-way leads to a cafe, a museum about the history of the buildings (which is also definitely worth a visit), tons of graffiti, a bar, and more. You see Urban Nation (UN) already from the U-Bahn U2 line getting there with public transportation. Large-scale murals face the U2 line acting as an outdoor street art exhibit (and gleichzeitig as advertising to come to the gallery). The surrounding neighborhood is rich with murals, both small and large-scale. 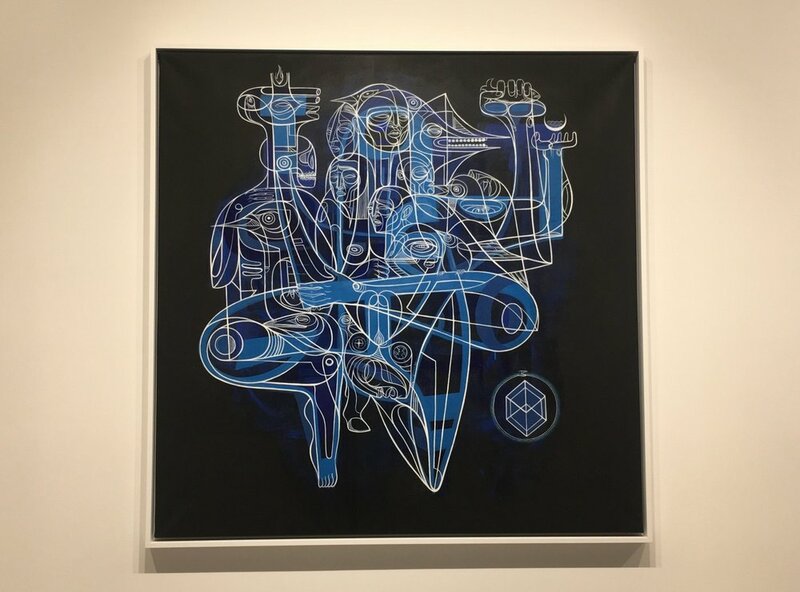 Before or after visiting the UN gallery, I highly suggest wandering the several block radius to see these works. There is almost always something new popping up on a weekly basis! UN features artworks - paintings, sculpture, and installation art - from many contemporary street artist, but halt in gallery style. An interesting juxtaposition between "low art" and "hight art". The Eastside Gallery is an accessible "gallery" in Friedrichshain. The gallery transcends the traditional definition of a gallery in that it is outside; incorporating historical sections of the Wall. It acts as a memorial to the fall of the Wall and reunification of Germany, as well as acts as a canvas for a collective of artists. 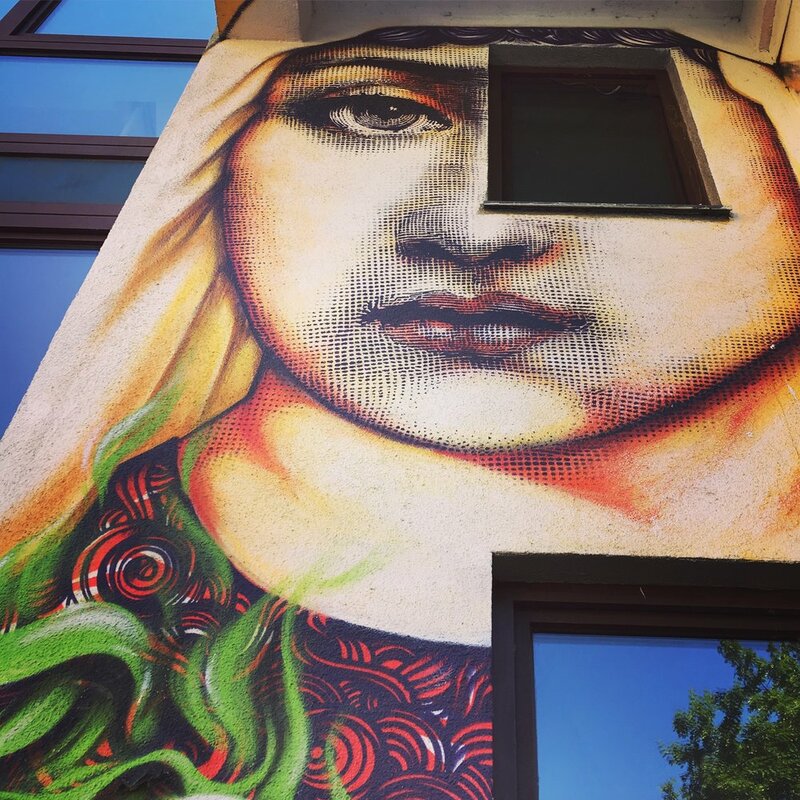 Take your Berlin graffiti knowledge to the next level by taking an alternative tour. 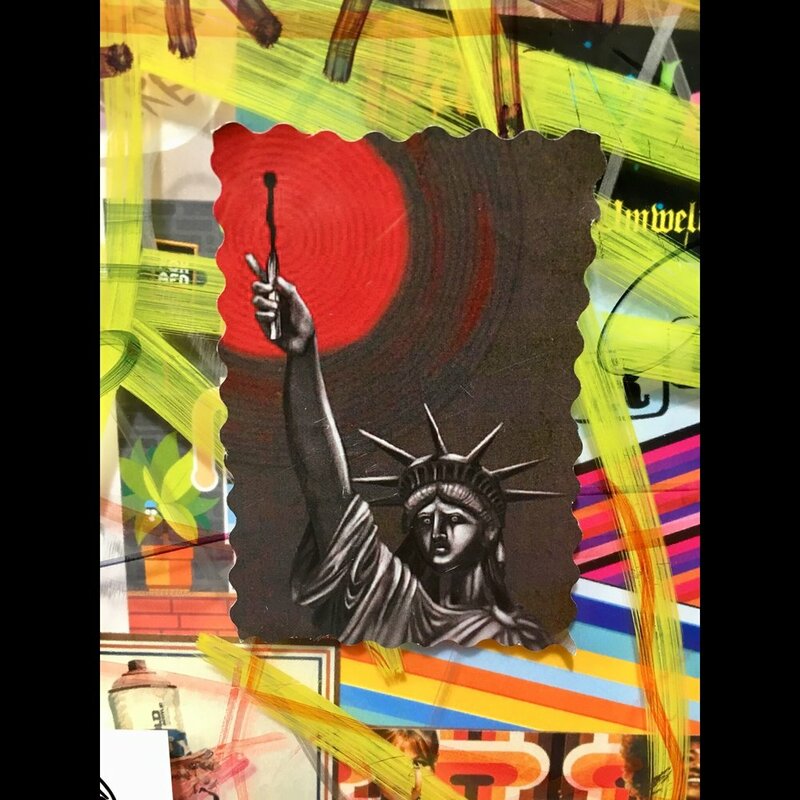 You'll see some cool works, learn about famous graffiti artists and groups that are active in the city, and even learn how to create your own graffiti inspired art using stencils! Have you seen enough graffiti to want to true your own hand at it? Maybe you don't want to break any laws either? The Schöneberger Südgelände offers a safe place to come get creative that is actually sanctioned! 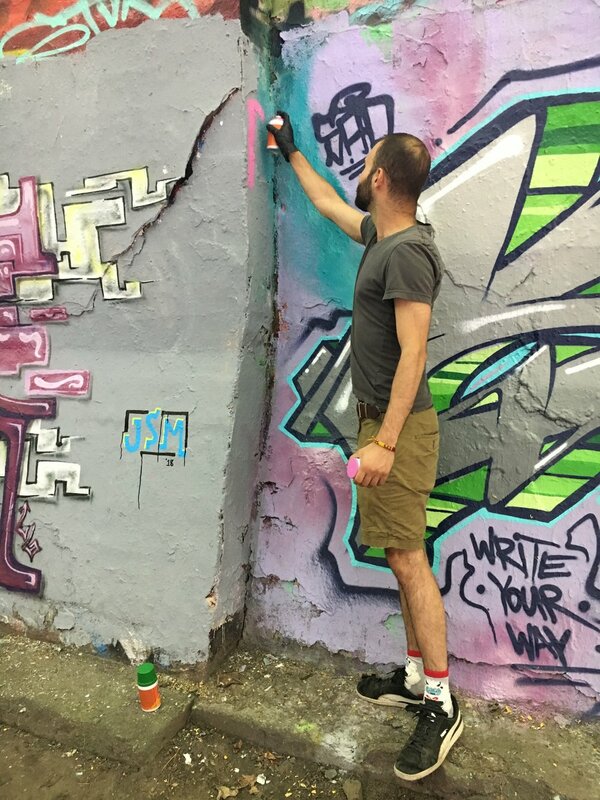 As long as your graffiti is done in the allowed areas (not on trees, benches, or art works) and during the park's open hours, your tagging and street art is 100% allowed and even encouraged as a form of self-expression. Just pay the 1€ admission fee, pack in your supplies, and pack out any garbage or supplies you've used up and you're golden!